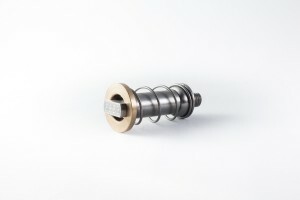 This is a high alloy for use inside a vehicle transmission. 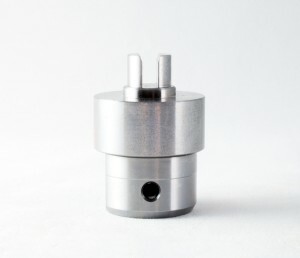 The outside of these precision machined parts are subjected to extreme forces and wear. 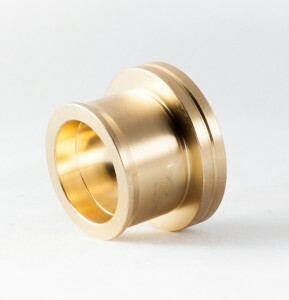 That’s why there is a special nickel-chromium plating done to the part after it his heat treated. This helps improve wear, impact and corrosion resistance. These precision machined parts are resulfurized, low carbon steel components used inside truck transmissions. The front and back ends of the geometry control a finely tuned transmission assembly so the timing (i.e. true position) of the slots end to the cross hole and flats on the other side are critical to the function of the part. This bronze part is a special high strength piston slipper that is used in the hydraulics industry. 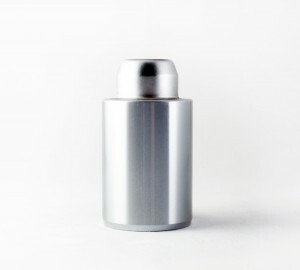 The inside of the part is a special form spherical radius with an ultra-fine surface finish requirement. The size of the sphere is also very important to the end user and can be monitored with a special spherical air gauge. For more information on our precision machine services for bronze, copper, steel or any other metals, please contact E.J. Basler today. This assembly is a “cushioning” component within a hydraulic cylinder.